A “cookie” is a tiny data file that we transfer onto your computer, mobile phone, or any other device that you use to access the website, generally used for authentication and tracking. 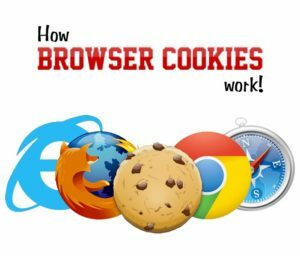 Every cookie expires after a certain period of time, but that period varies depending on what the cookie is used for and how your browser is configured. A “session” cookie is one that generally expires when you close your web browser or mobile application. A “persistent” cookie is one that remains in your device, even after you close your browser or mobile application. A persistent cookie expires according to the duration set by us (or when you delete it manually). Learn more on Wikipedia. We believe this data collection helps improve your user experience, but you may remove or disable some or all locally stored data through your browser settings, depending on your browser. You can learn more about some options you have in our FAQ. While cookies and other locally stored data may not be necessary to use our sites, some features may not function properly if you disable locally stored data. Yes, so we are using cookies. But why ? To provide you with a personalized experience, such as using cookies to know your language preference, to remember the user preferences you set so we can provide you with the customized look and feel that you want. Understand how you use the website across different devices, so that we can make our experience more efficient and effective for you. Make the website more convenient to use, such as by using cookies to maintain the forms you used or logins. We have to inform you these reasons by law.